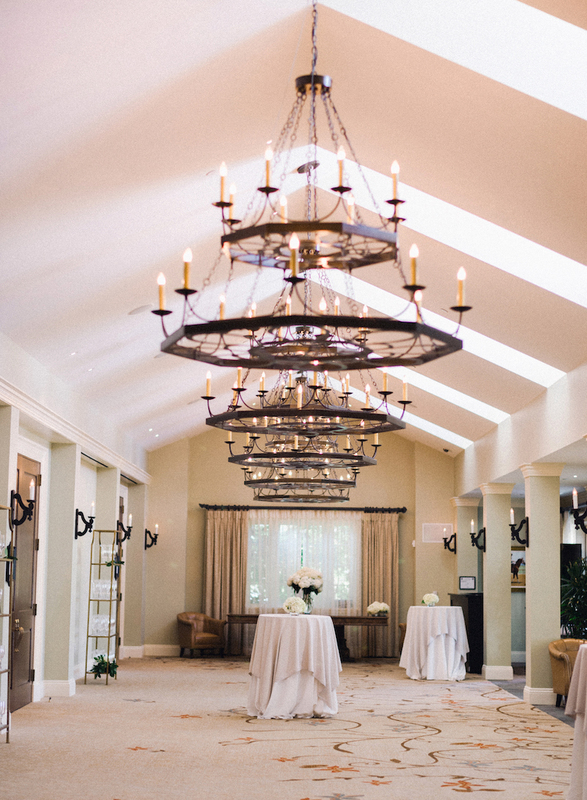 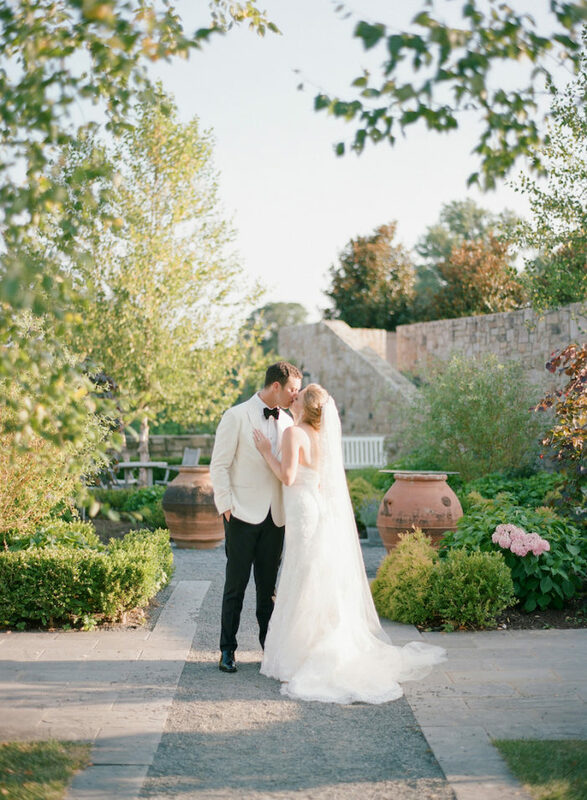 Brittany and Dan’s classic pastel Salamander Resort wedding has us dreaming of spring and sunshine. 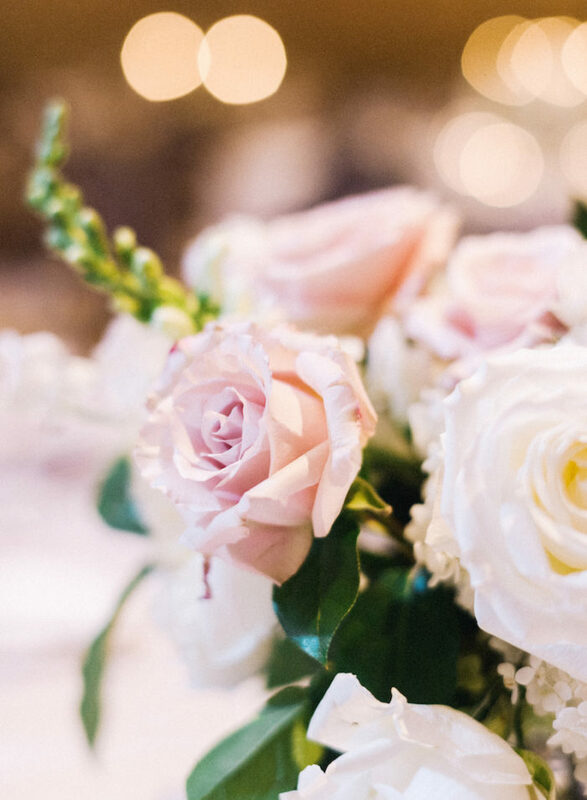 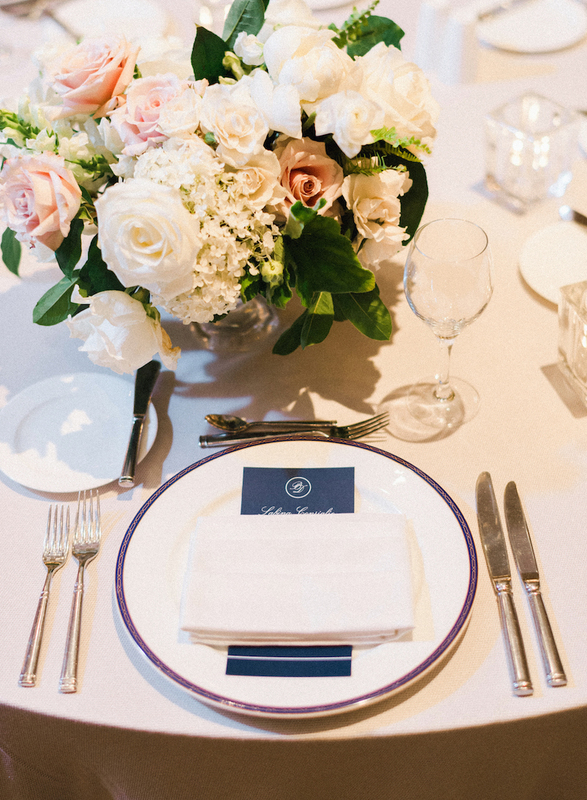 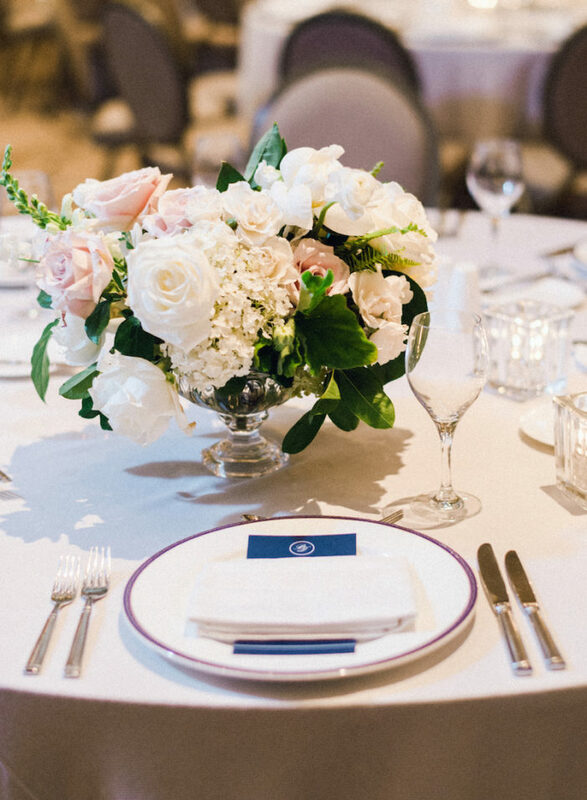 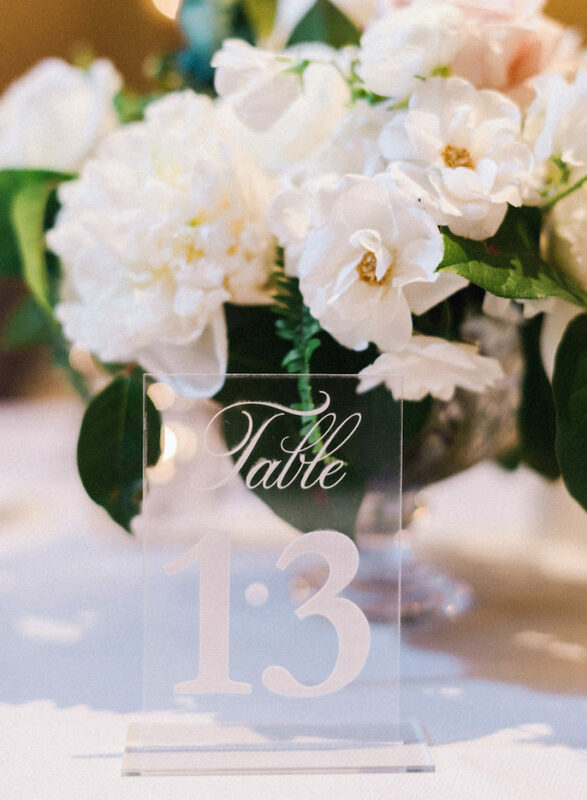 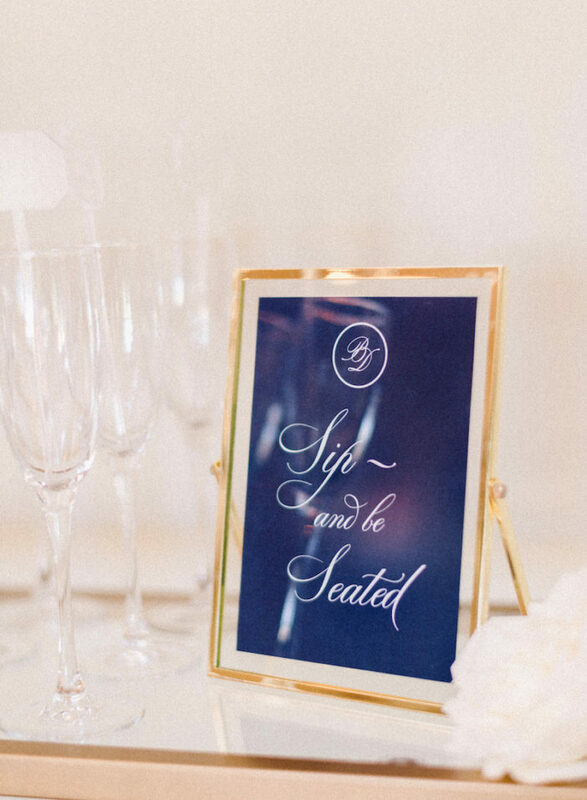 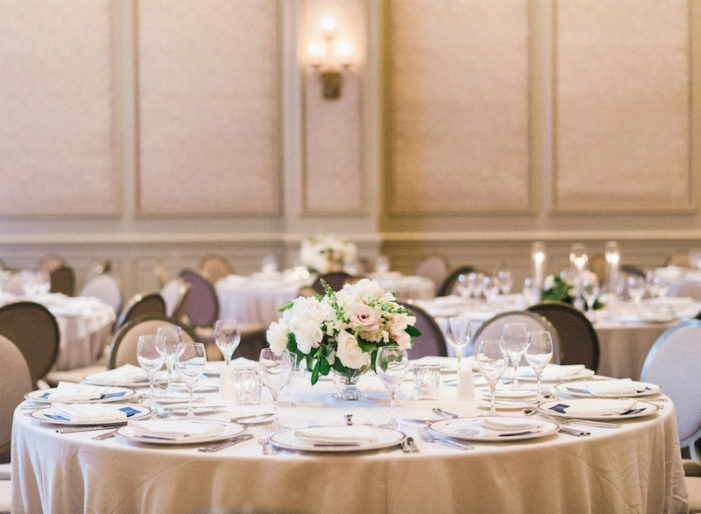 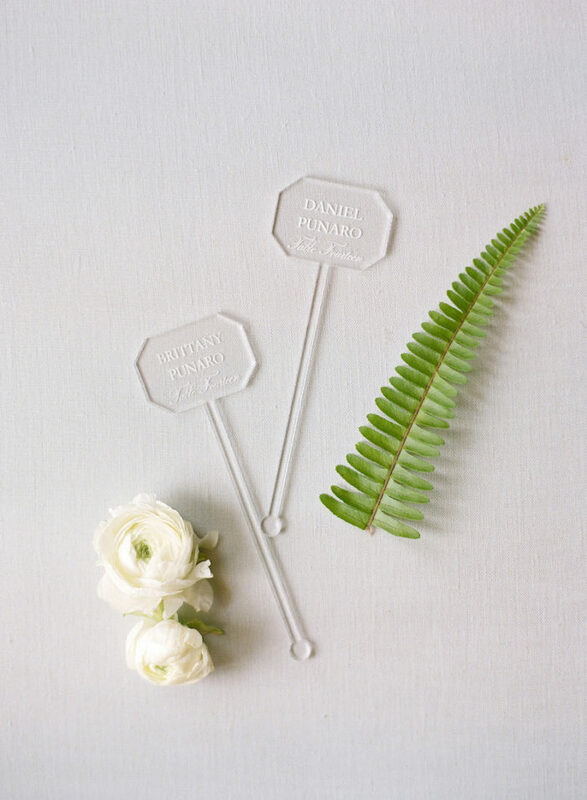 With perfectly curated details such as acrylic stir stick place cards and matching table numbers and soft fluffy florals in whites and blush this design scheme is beautiful! The pair were married outside on the grounds before taking the party inside to celebrate in style with their closest friends and family. 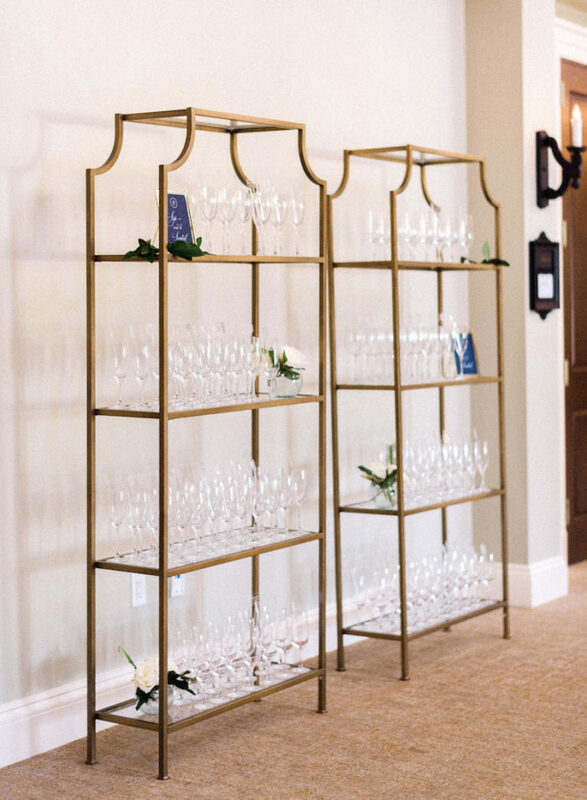 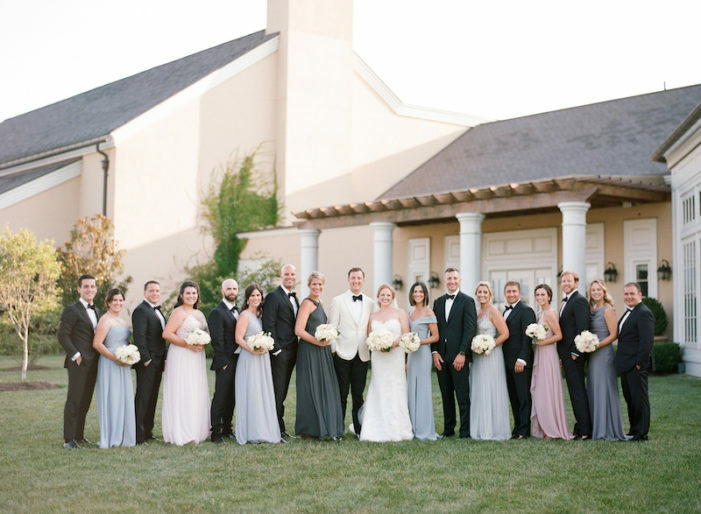 With bridesmaids clad in varying pastel shades and groomsmen in classic black tuxes, the bride and groom really stood out in their chosen attire. 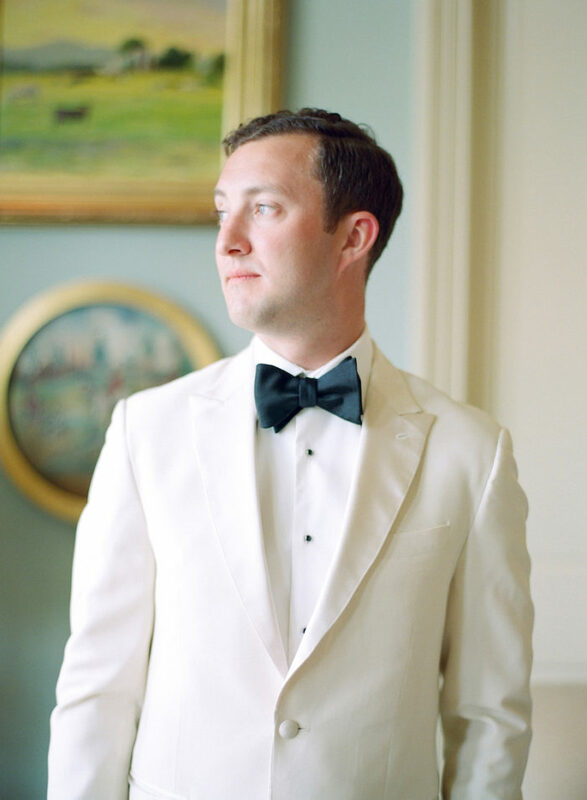 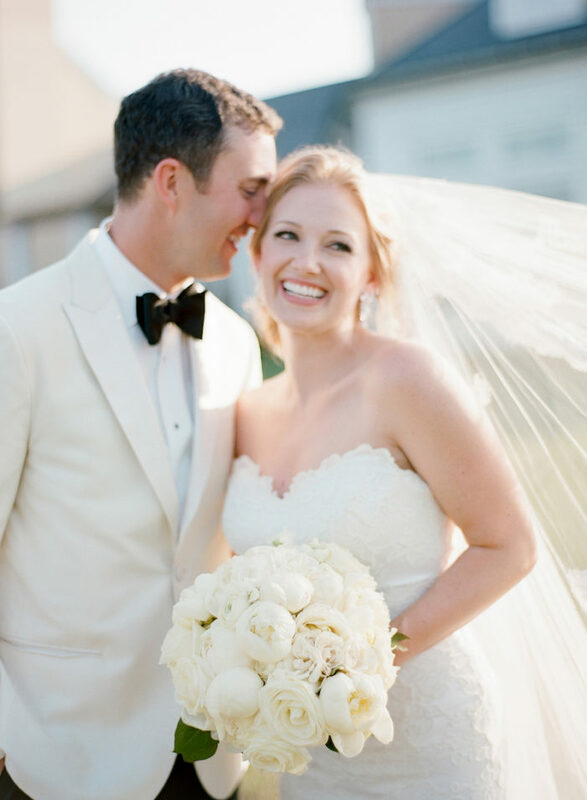 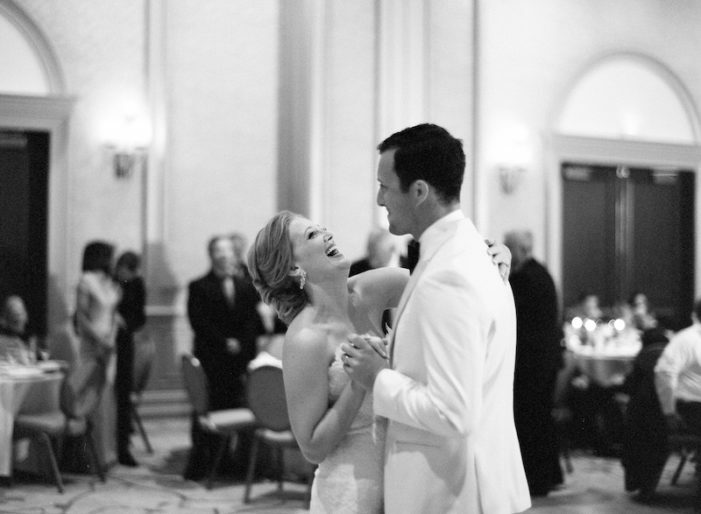 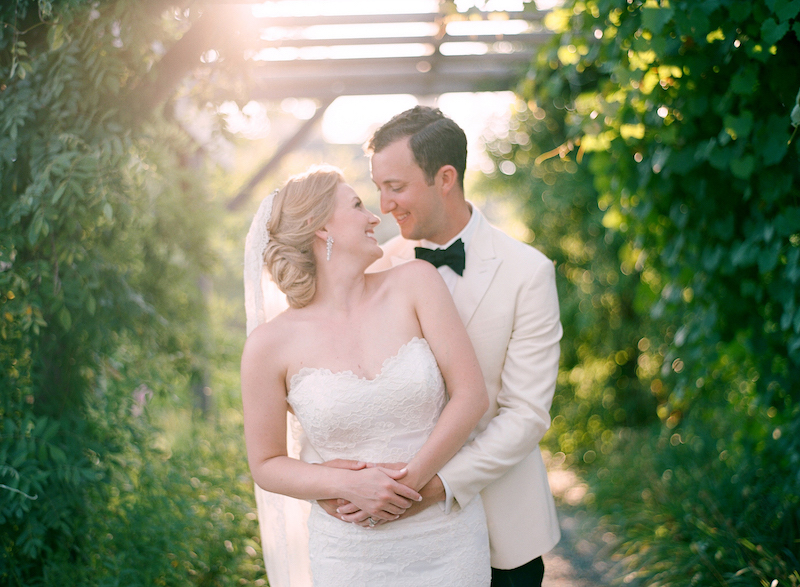 The groom wore a white jacket and black pants to go with his bride who sported a gorgeous strapless, fitted lace gown. 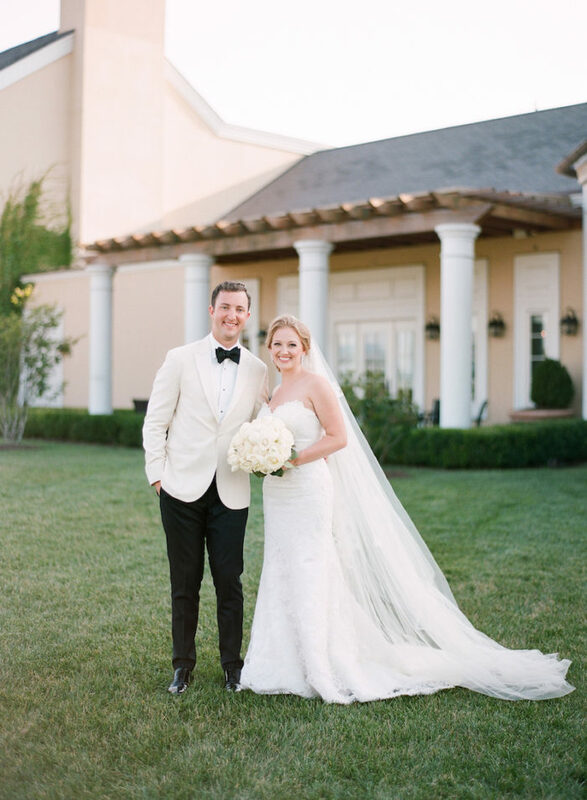 The pair looked elegant and timeless. 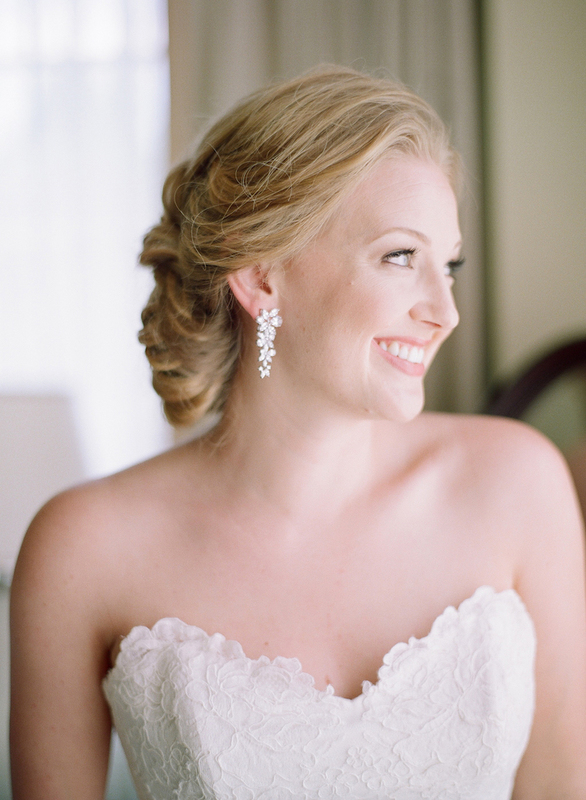 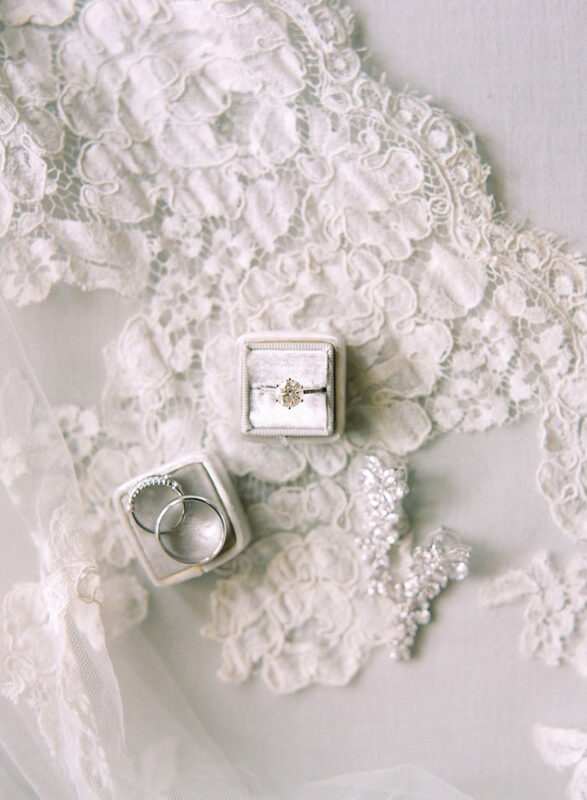 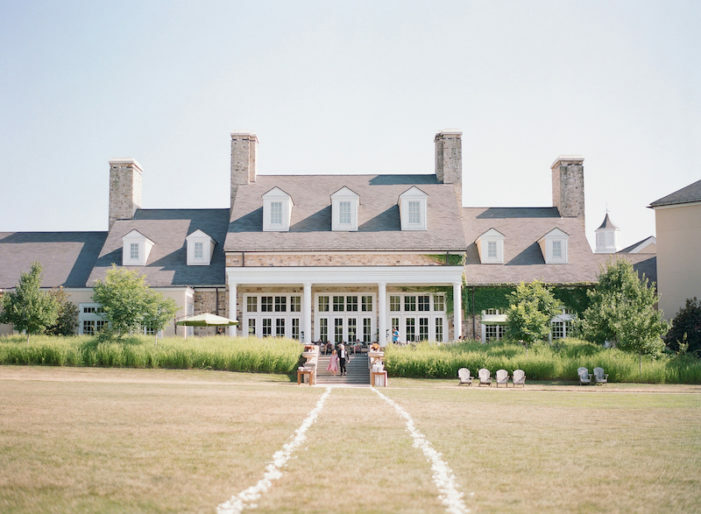 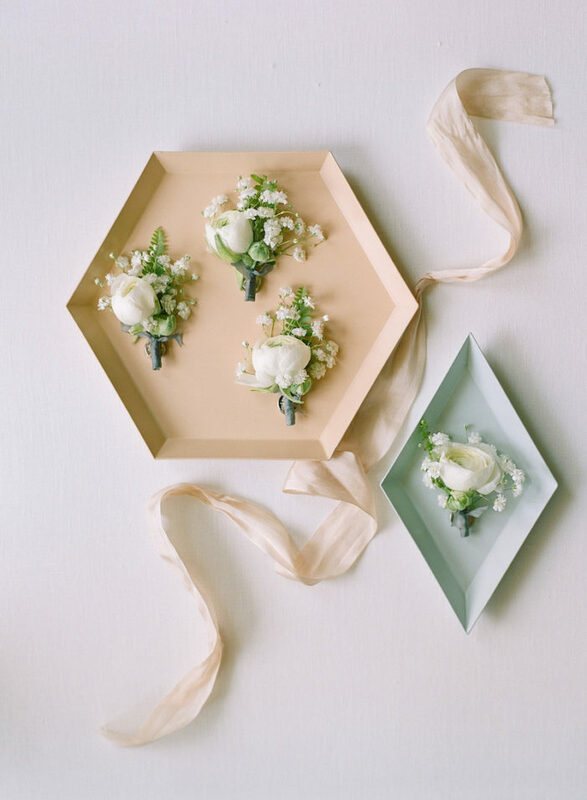 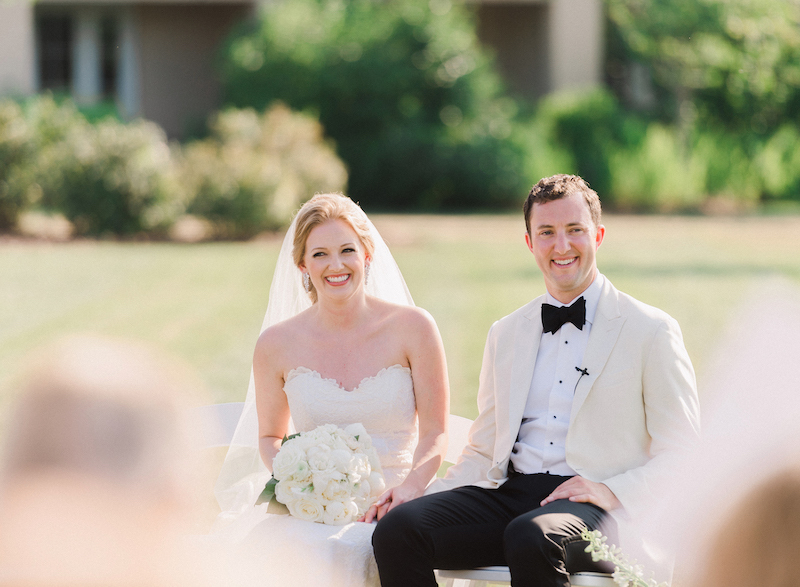 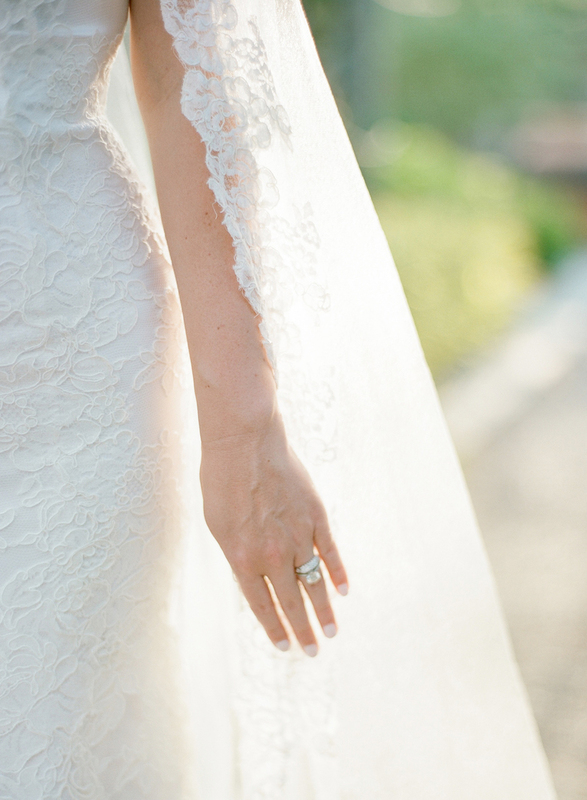 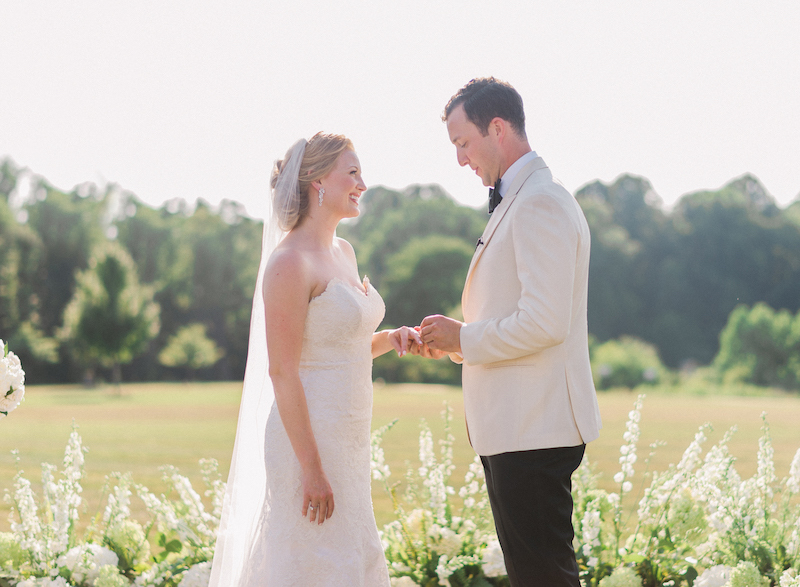 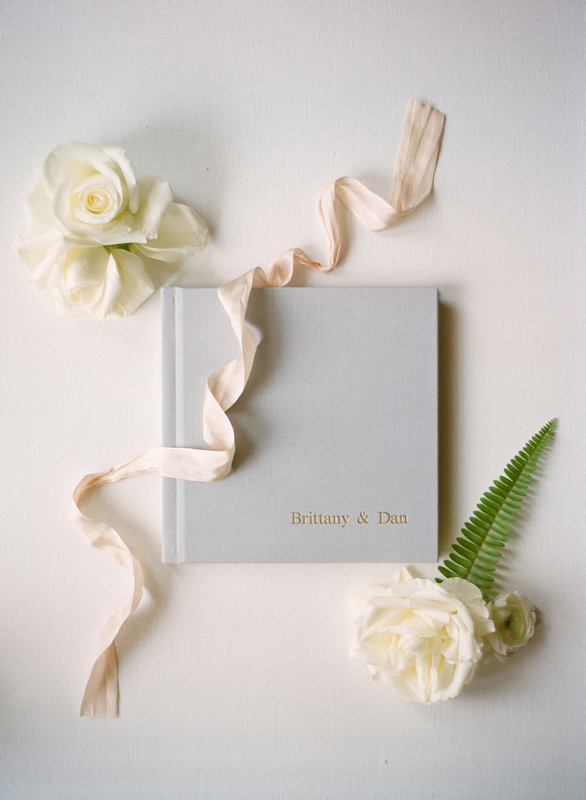 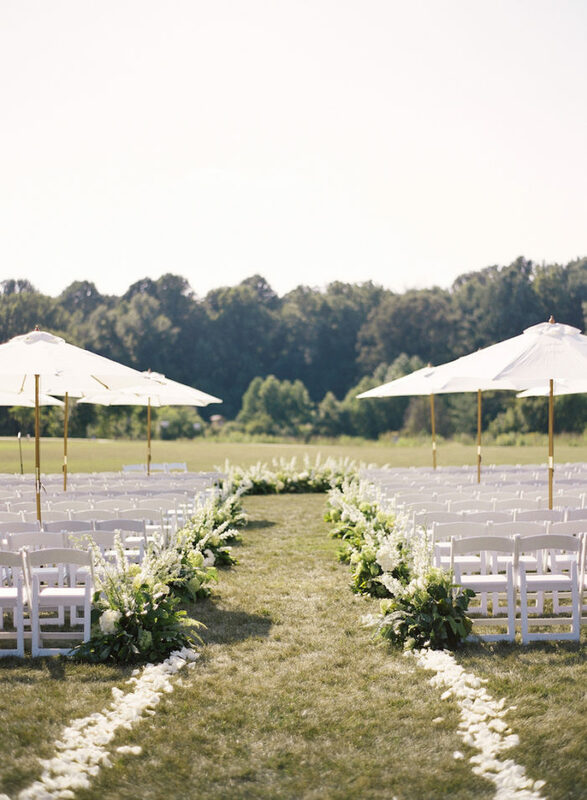 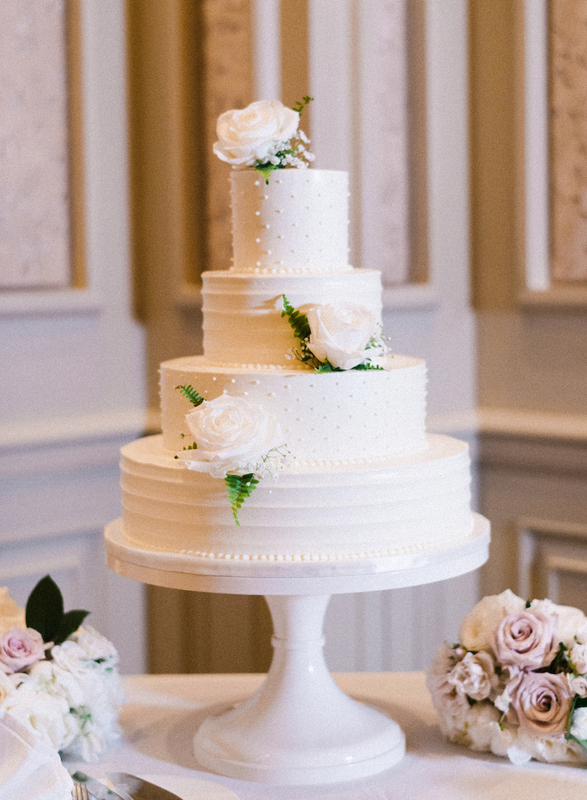 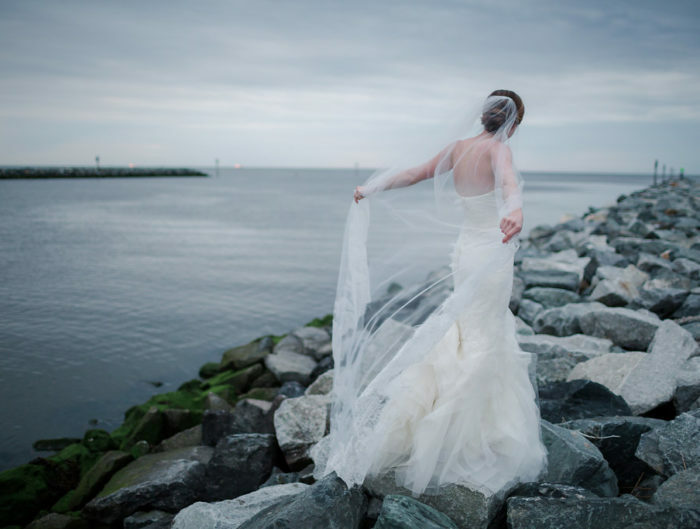 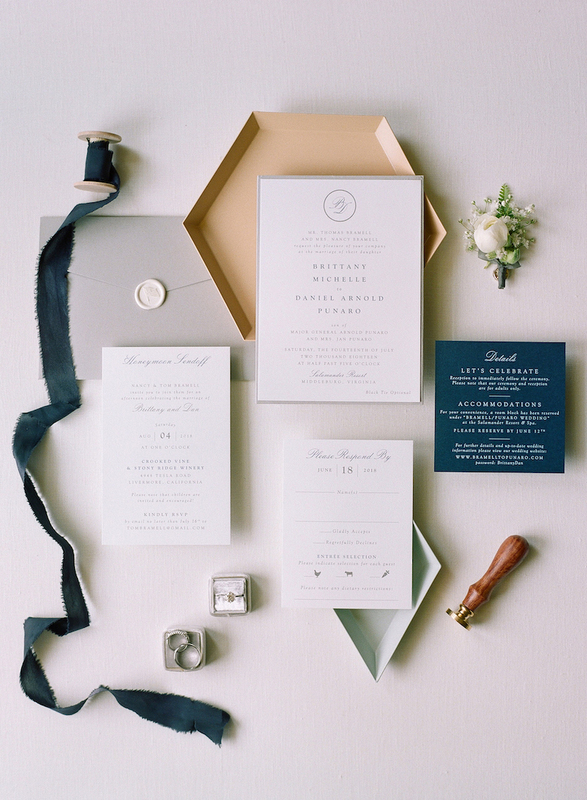 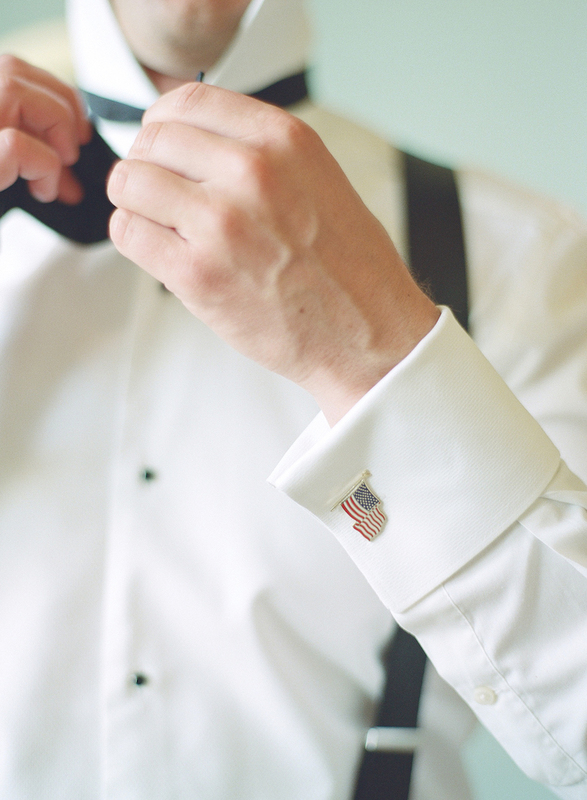 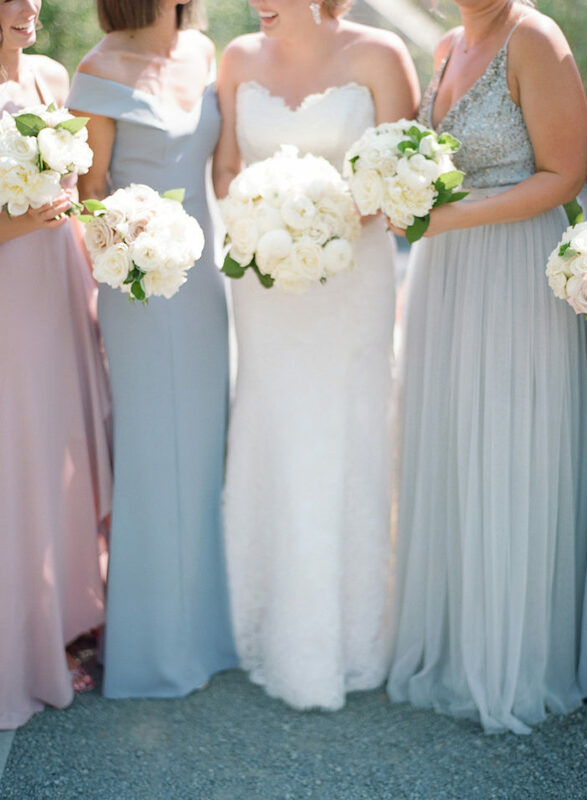 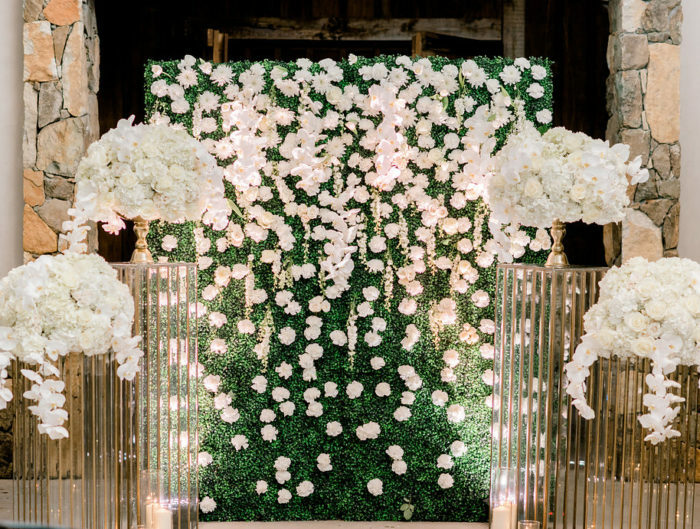 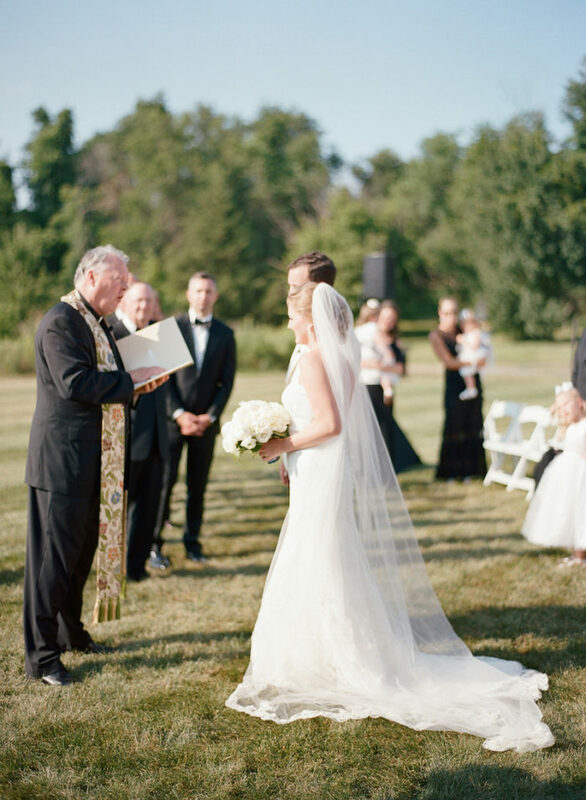 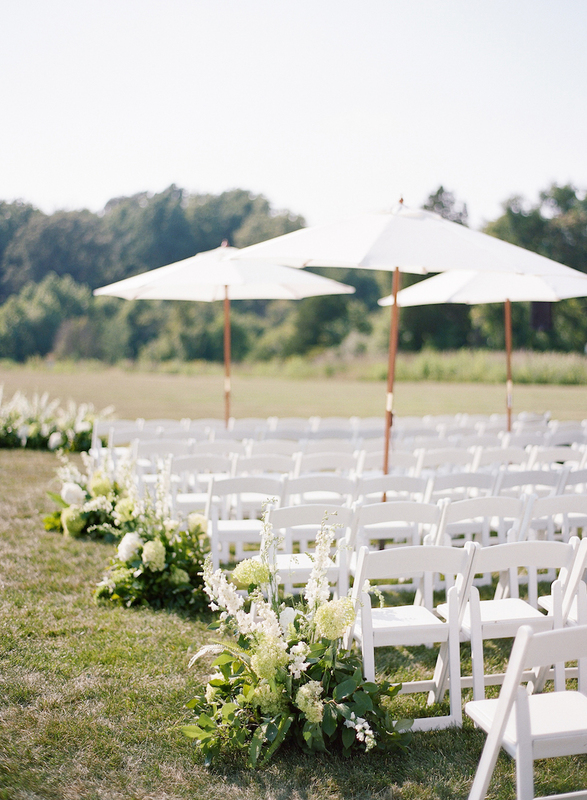 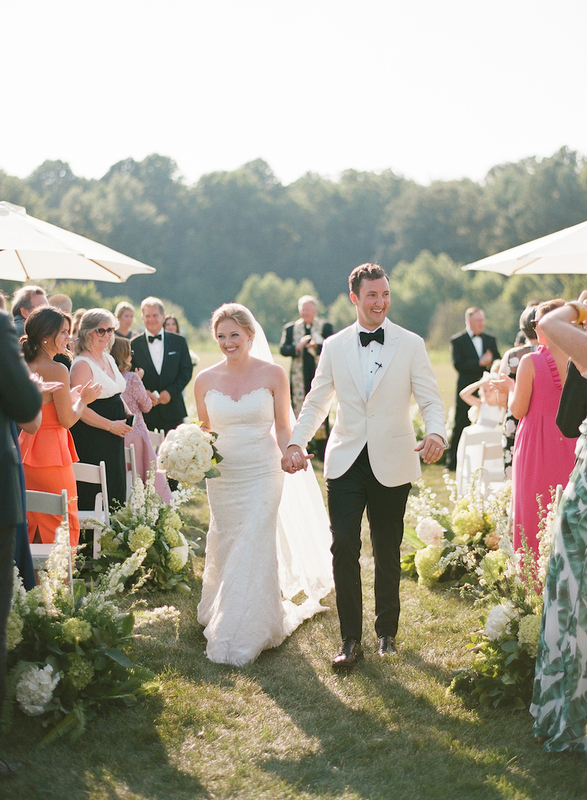 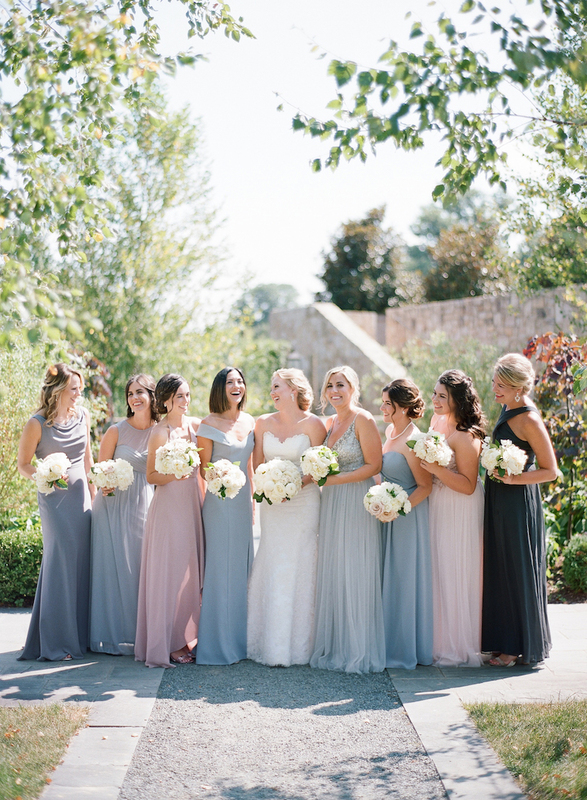 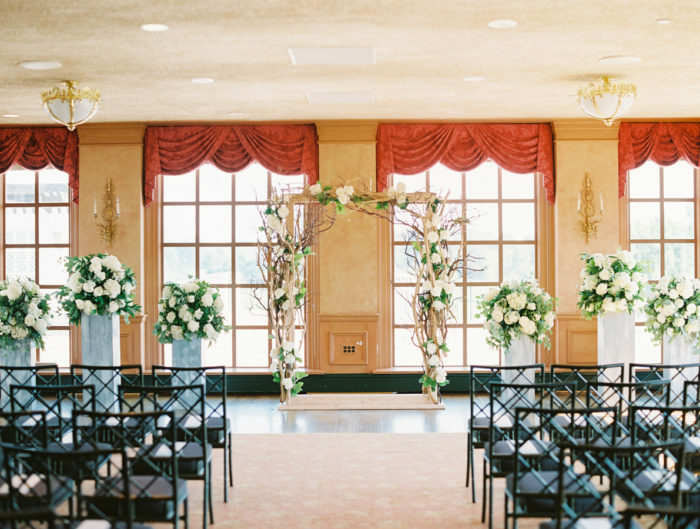 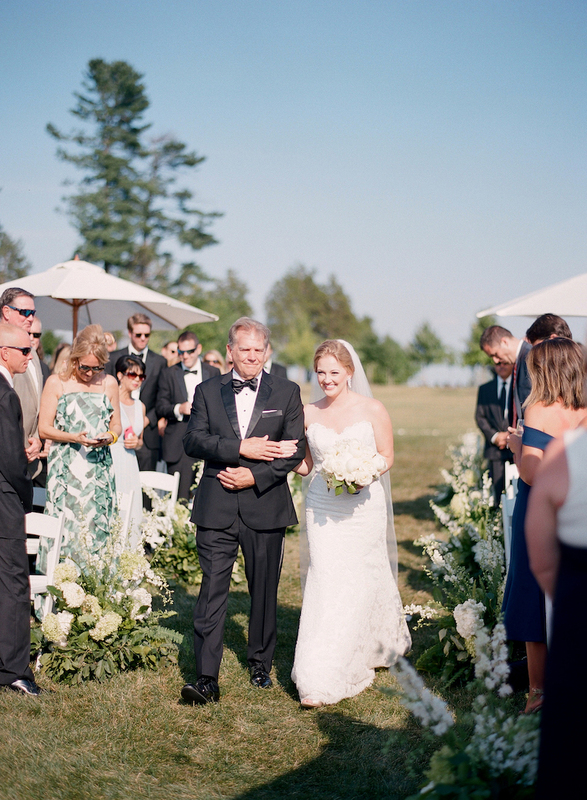 Thank you to Caroline Dutton Events for sharing this Virginia wedding with us today!